Oliver wants chips! Healthy eating? Forget it! Oliver doesn’t care about fresh veg or nutritious food. But when he goes to stay with Grandpa, Oliver is forced to strike a bargain. If he can find enough potatoes in the vegetable patch, Oliver can have chips. But he’s also got to eat all the other vegetables he finds during his hunt! On Monday, he pulls up carrots. On Tuesday, it’s spinach. What else will he dig up? From major author Vivian French, this colourful seek-and-find tale puts the joys of healthy eating at the top of the menu. 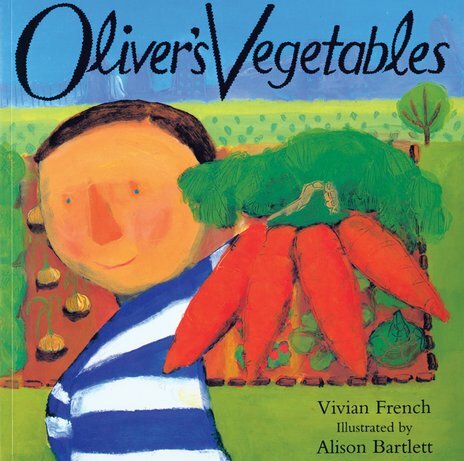 Thirty copies of this classic children’s book to accompany Read & Respond: Oliver’s Vegetables.